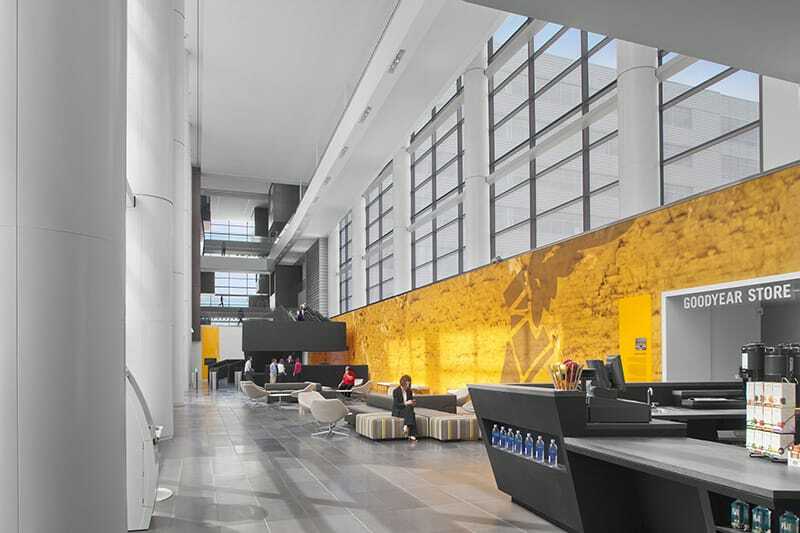 Providing collaborative and Lean construction management services for the new global headquarters for Goodyear Tire & Rubber Company involved many of Gilbane’s integrated project services. Lean quality construction techniques were utilized including prefabrication of the water closet racks which were installed on all seven floors. Additionally, the project team conducted quality benchmarks for the office space, CEO suite and commons spaces to evaluate installation and materials. Mock-ups were completed on the curtain wall system with comprehensive spray testing completed after installation to ensure a secure building envelope. Gilbane’s review of the initial design revealed that the cost to maintain the high rise curtainwall façade system was prohibitive. 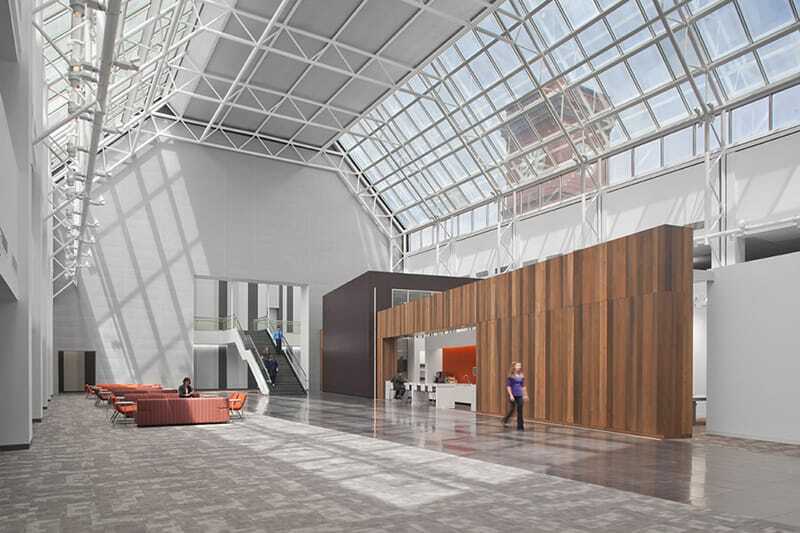 Enlisting support of architects, the curtainwall manufacturers, installers and window washer companies they worked together to create a design which balanced aesthetic objectives with functional and budget needs. The design team utilized computer generated 3D modeling to explain the solution. The modeling provided the perfect platform for the Goodyear Leadership Steering Committee to provide critical input to the project and obtain information critical for the final decision. 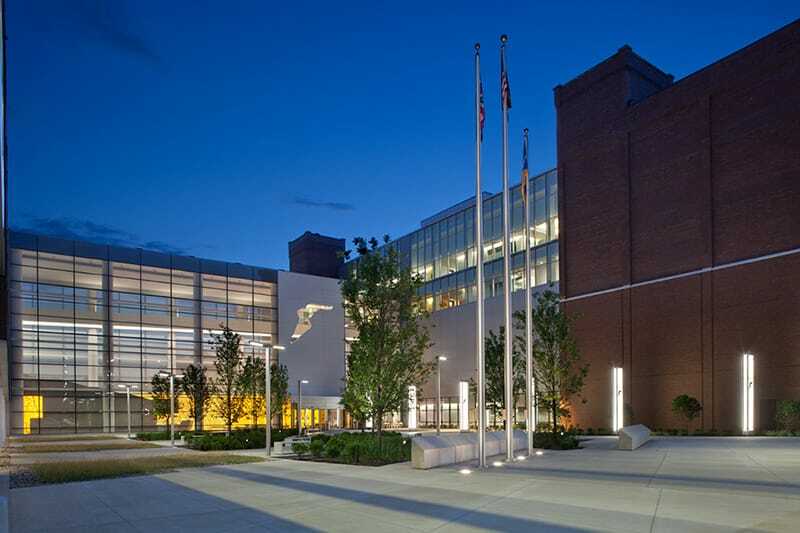 The end result was a façade treatment that reflects both the aesthetic, functional, and budgetary needs of Goodyear and was achieved through collaboration and cooperation. 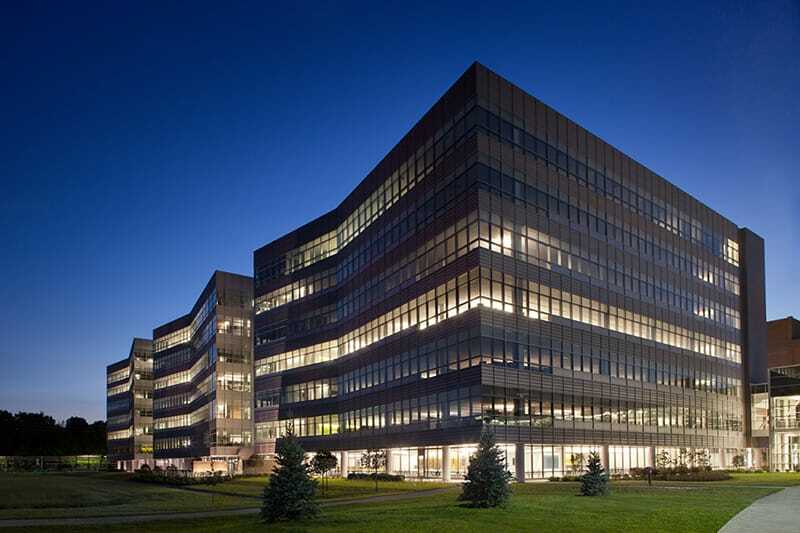 The new curtainwall system met all the requirements, saved Goodyear $287,000 and provided for an economical maintenance plan.